Hello H�kan, it's always a pleasure to view what you are up too! Great looking scenes like this last one, are what we've come to expect at the CR&N Co. Thanks Greg! I'm happy you like it. For time to time there has been some crazy ideas for the layout. Some has turned out good other hasn't. As the a newbie to layout construction I have made many mistakes (in my point of view anyway:-)). One of them is that I have to much vertical separation in the scenery on the mountainous parts. There is an area with a sawmill and a pond where the cliffs looms a little to close. Maybe I do something about it. Or maybe not as it at the moment would take some major surgery. I'll sleep on it . Many nights. I'm planning ahead as I'm nearing a part where I'll incorporate a mine complex in the scenery. 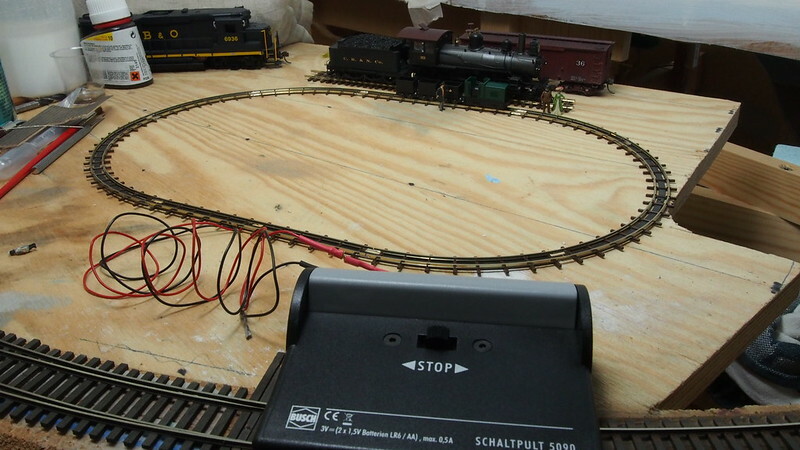 Here I'm contemplating doing something using a small Busch HOf feldbahn set for a animated scene. 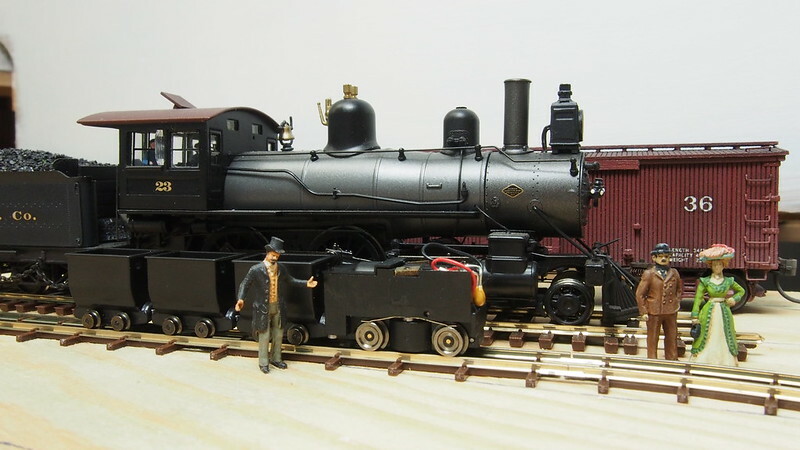 The loco in the picture is 20" gauge and HOf runs on 6.5mm gauge which represent about 22.2" but it is close enough. H�kan, catching up on the thread. Just amazing. 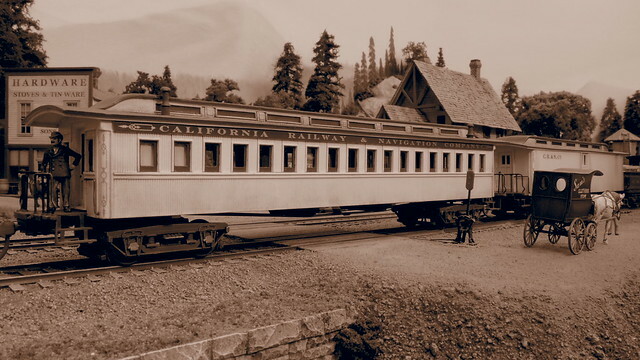 On the subject of imported locos, The Toronto & Nipissing Railway had a 0-6-6-0 Fairlie Articulated http://www.narrowgaugethroughthebush.com/railways/nipissing.html. 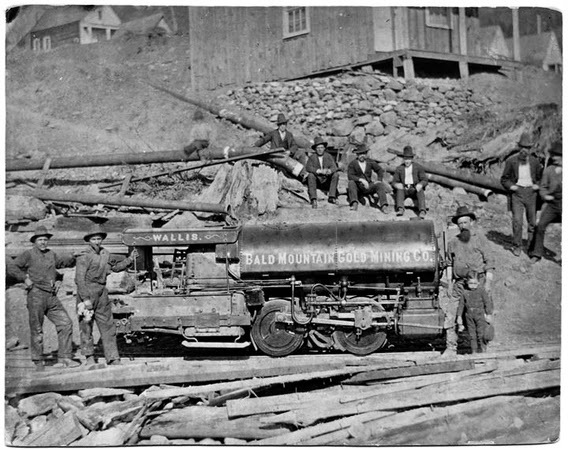 I like the idea of some narrow gauge mining, but I'm a little bias. I'm sure you'd have fun too. You got a nice side project going there H�kan. I really like the prototype photo too. Look at the loose stone foundation(?) of that closest house. And that house unpainted except the windows, door and porch posts(? )!And up on the hill only the front of that one house is painted along with the windows. I bet the windows and doors came pre-painted. These would look right at home in the slough. Thanks Heath! That book is had my eyes on for awhile but passed due to that it would cost a fortune to ship here. Must be a great read though. Thanks Bob, I agree the picture is great and lends itself for modeling. I'll see how much I can manage to squeeze in as the area really is limited. But there are other areas that a similar building would fit. I found a bargain Busch set. I'll post some pictures later this weekend showing the size comparing it to my other models. I got sidetracked with another unfinished project. 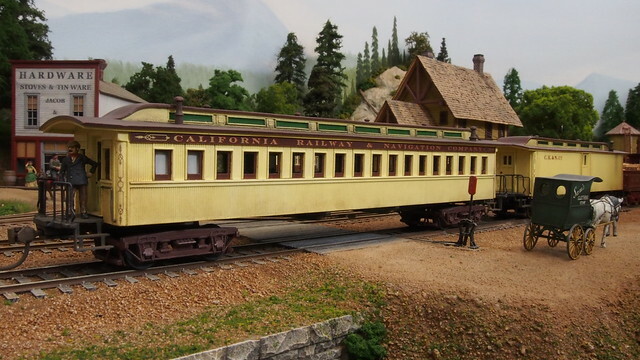 I built some time ago two Westwood cars a pair of Promontory cars from the Golden spike. They were not finished and it have been nagging me seeing them on the layout. I never got around finishing them until last week when I got a grip on myself and did something about it. I added handrails on the body ends, some NBW and brake beams to the trucks among other things. The brake beams I think really did it as the trucks looks very peculiar without them. I also gave them some more weathering using chalks as they are the oldest equipment on the line although well kept begins to show their age. They mostly go in a local so the shop crews have not got around fitting air brakes to them yet. The cars look beautiful. I hope I can do as good a Job when I get to mine. 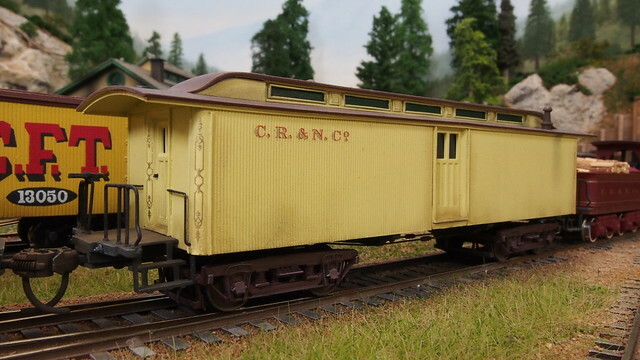 H�kan, Beautiful models as is all of your work. Thanks Bob, Bill and Dave. Bob, they are not so hard to build using styrene instead of the supplied wood. 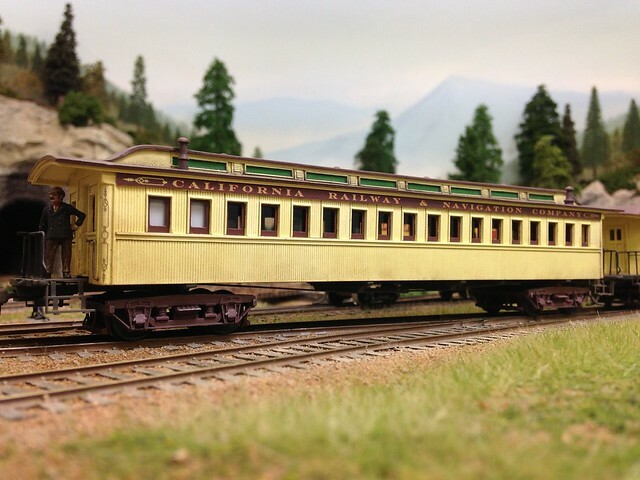 Some fine modeling here H�kan !! Here are some pictures of the Busch Feldbahn set compared with some HO figures and a Bachmann 4-4-0. As you can see without the superstructure the chassie is quite small. The biggest challenge to make a steam loco of it is the wheels and rods as it is hard to make the side rods and get them functioning. To have something my idea is to make one small main rod from the cylinders as in the sketch below. Sorry about the sketch quality! As the loco is so small it will together with the cylinders hopefully hide the fact that he loco has no side rod. The pin for the main rod will be made by drilling a small hole in the wheel insulation and fitting the rod with a very small screw. The idea is to draw the superstructure in Sketchup and 3D print it at Shapeways in their FUD material. Here is a picture showing what came with the set. 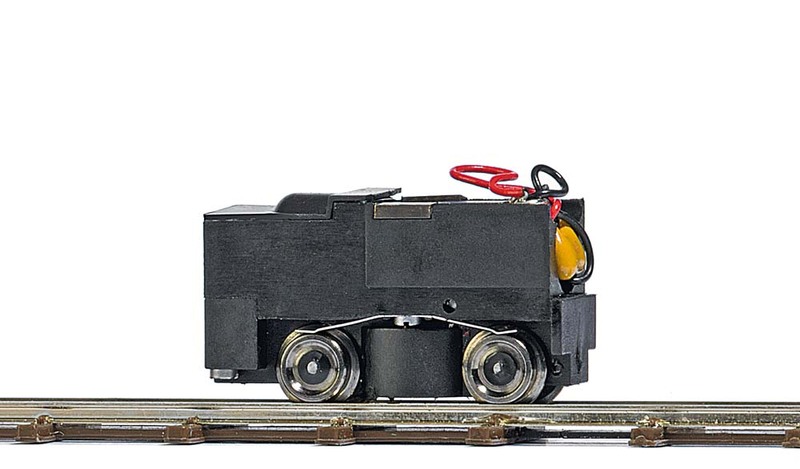 It is small oval with 6.5mm track and steel plate beneath the ties to give the magnetic adhesion for the locomotive. The thingie between the wheels is the magnet. The box in the front is the control with only one speed forward and backwards. The three cars that is in the picture did not come with the set and was another Busch set bought separately. The ones that came with the set were much larger. Thanks Cody! And thank you for the input on the driving rods. I have no previous experience with so small locos so it is great getting some input from someone who has. That was a tiny loco you are building. Beautiful and with great craftsmanship assembling it.